Looking to spread a little holiday cheer? Wondering what to get for the creative-types in your life? 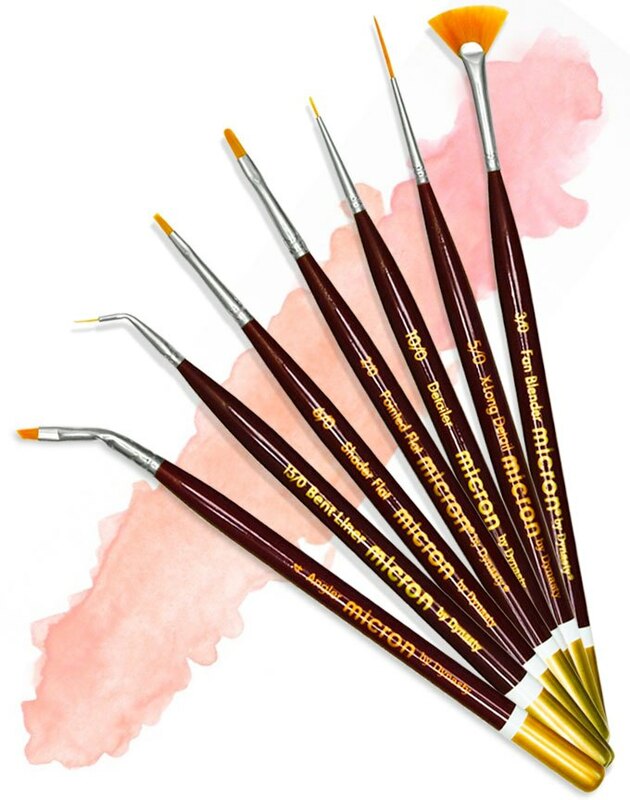 Consider giving Dynasty Brushes! 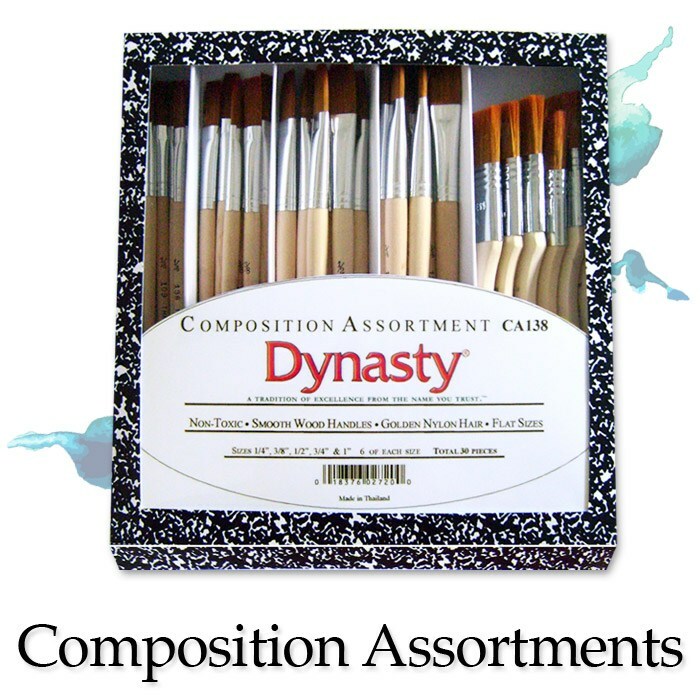 With so many varieties to choose from and with brushes for every budget, Dynasty has something sure to please the artists and crafters on your gift list! Consider giving those artists educating the Rembrandts of Tomorrow one of our Composition Assortments. With short, smooth wood handles and a variety of bristle types and shapes to choose from, a Composition Assortment is sure to be a great addition to any school's art room. Do you have a cousin who likes to decoupage sketchbook covers? Or an aunt who loves to turn her flea-market finds into "shabby chic"? Or a mother who does both of those things--and more? Then consider giving your loved one some of our Blue Ice brushes. 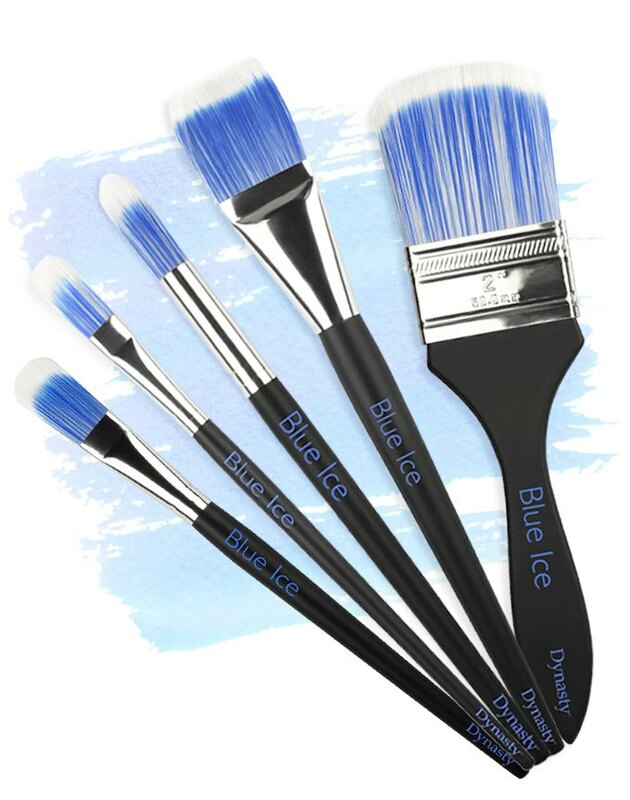 The durable blue and white bristles are strong enough to stand up to heavy mediums--like acrylic gels, white glue, chalk, milk and latex paints--while still allowing excellent control. I've used Blue Ice brushes on all sorts of project like painting a door in my house with latex paint and painting a shirt with fabric paint for my son's Halloween costume. My three year old even has used these brushes to "paint" on our sidewalk with water, but you wouldn't know it because these bristles are so tough! If you are looking for a multi-purpose brush that can stand up to anything, Blue Ice is it! Do you have that one friend who elegantly hand paints their Christmas cards every year? Or maybe a friend who creates beautiful ornaments? For those who paint in the smallest of details, Dynasty offers the Micron collection. 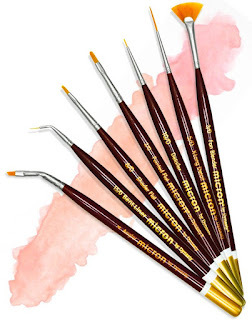 The finest synthetic hair bristles are secured into a smooth ferrule that rests on a specially-shaped handle designed for ultimate control and comfort.